Are you a founder, investor, or entrepreneur? Looking to build your network in Ho Chi Minh City? Or only just beginning to explore the startup journey? 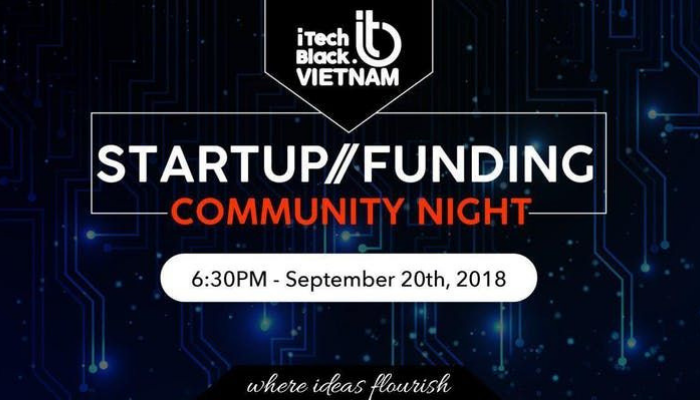 You’re invited to join our exciting kickoff event in Ho Chi Minh City — the iTechBlack Vietnam Startup // Funding Community Night! Come meet other coworkers, network with some unique and exciting industry leaders, and learn about startup investment options. During this event, you can expect to be shoulder-to-shoulder with other TECH entrepreneurs, startup founders, regional and international investors — all while enjoying complimentary food and drinks. Venue: 10th, 180 Nguyen Thi Minh Khai, Ward 6, District 3, HCMC. *The Black Roses Band will be our musical guests throughout the evening event.